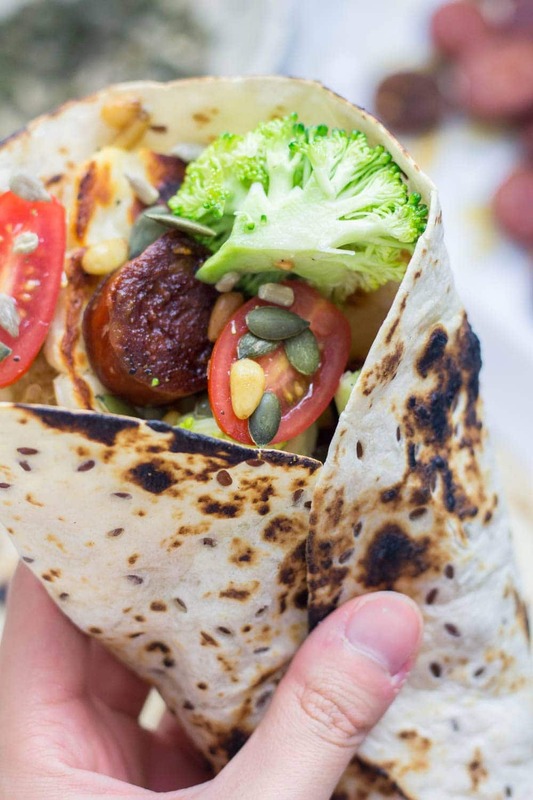 Halloumi & chorizo wraps are such a tasty lunch or dinner. 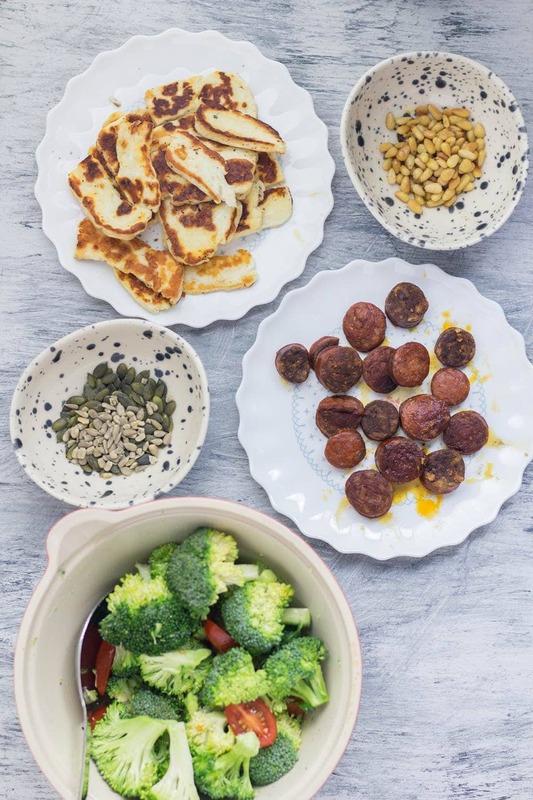 The halloumi & chorizo are wrapped with a fresh broccoli slaw and a sprinkling of nuts and seeds. Happy weekend! Don’t you think the weekends need to be longer? Two days just is not enough. By the time we’ve had a lie in on a Saturday it feels like it’s nearly time to go back to work again, do you feel me? Someone really needs to do something about this. 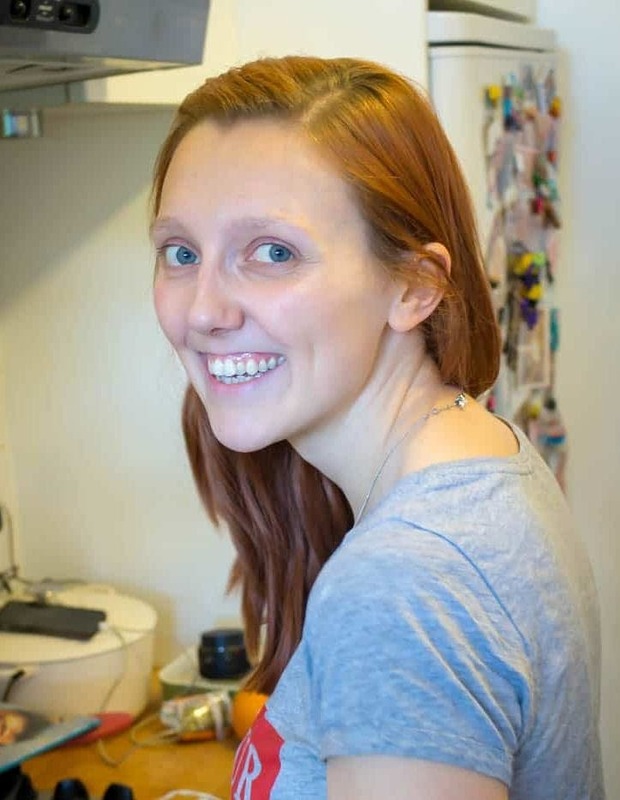 As much as I like my job I also really really like hanging out at home, blogging, watching TV, going out with friends, going out with Will, basically all the things I can’t do when I’m in the office. Anyway, enough complaining. We’re not doing much this weekend, just relaxing and getting some work done. Also trying to think of something to make for dinner tonight. It’s always a bit of a struggle to decide what to have on a Saturday night. We’re often out but when we’re not we want a treat and sometimes we feel like we really should be good and not spend the money on a takeaway. 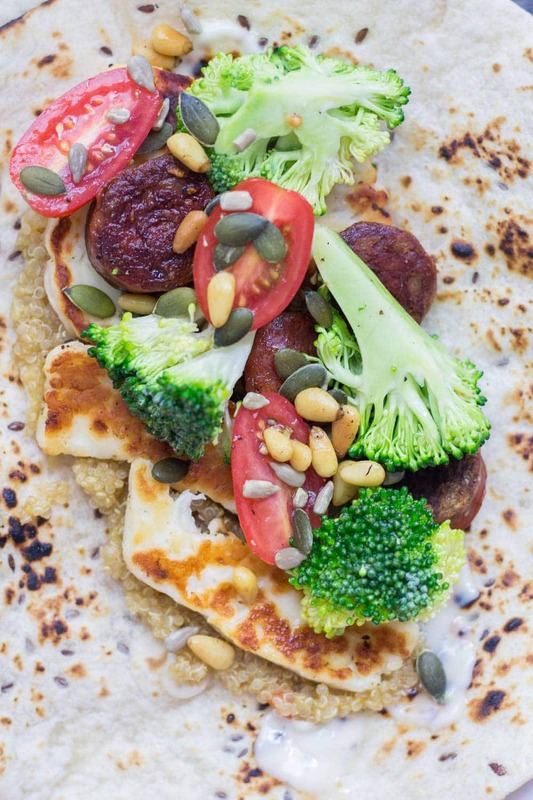 Anyway, the perfect dinner any day of the week are these halloumi & chorizo wraps. 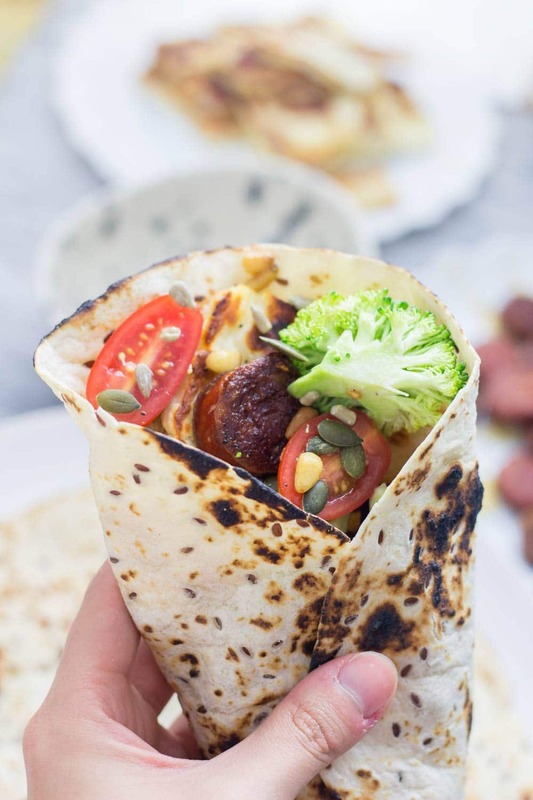 The halloumi and chorizo is gently fried to give it some lovely colour and slightly crisp texture and it is just the perfect combination inside a soft wrap. The inspiration for this dish came from something we ate when we went away with my family earlier this year. We went to this restaurant on the beach which was in a converted double decker bus and they were serving lots of different types of wraps with this fantastic broccoli slaw. 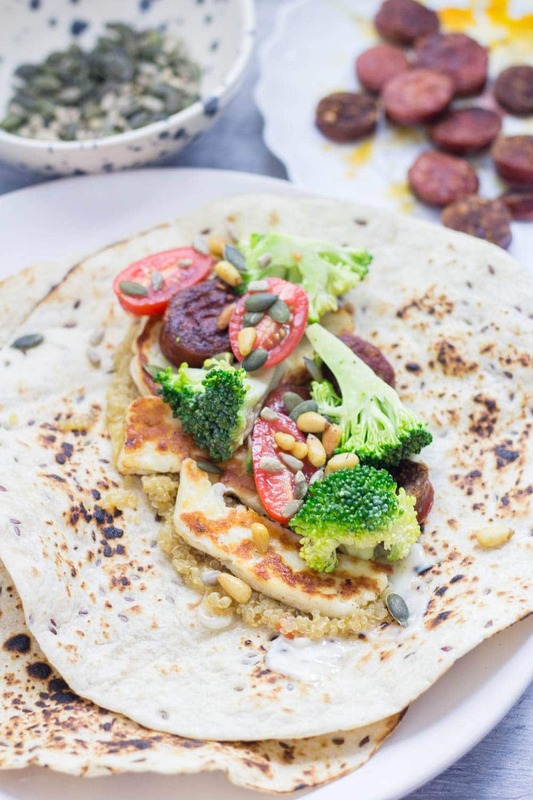 We had chicken wraps on that day but when we came to make these halloumi and chorizo wraps I couldn’t get that broccoli slaw out of my head. It’s actually so easy and the raw broccoli gives the whole thing an amazing crunch. We also added quinoa because we were eating these for dinner and wanted them to be really filling to keep us going after a run. You could leave the quinoa out if you wanted to make them a bit quicker or you were just eating them for lunch. They’re really customisable so make them however you fancy! 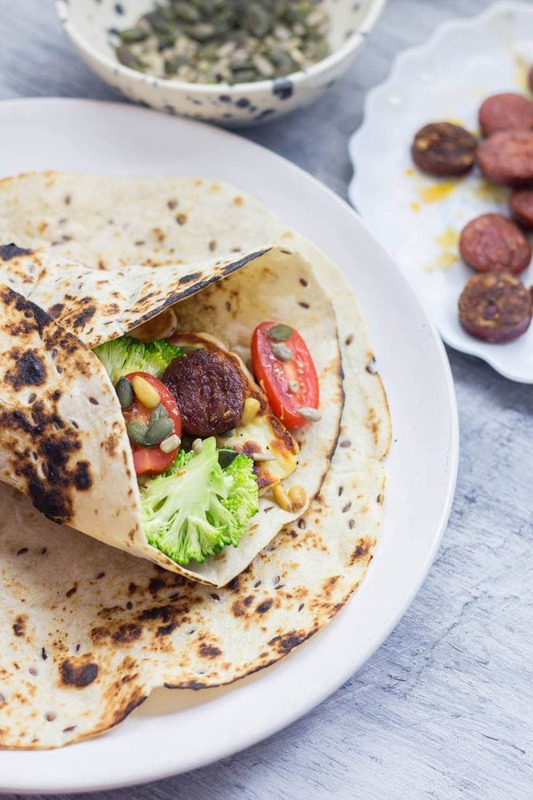 WONDERING WHAT TO DO WITH THE LEFTOVER INGREDIENTS YOU’VE GOT FROM MAKING THESE HALLOUMI & CHORIZO WRAPS WITH BROCCOLI SLAW? Heat a drizzle of olive oil over a medium heat in a frying pan. Add the chorizo and fry until it's getting crispy. Remove from the pan and set aside. If the pan's looking dry then add a little more oil. Fry your halloumi slices until they're browned on both sides. 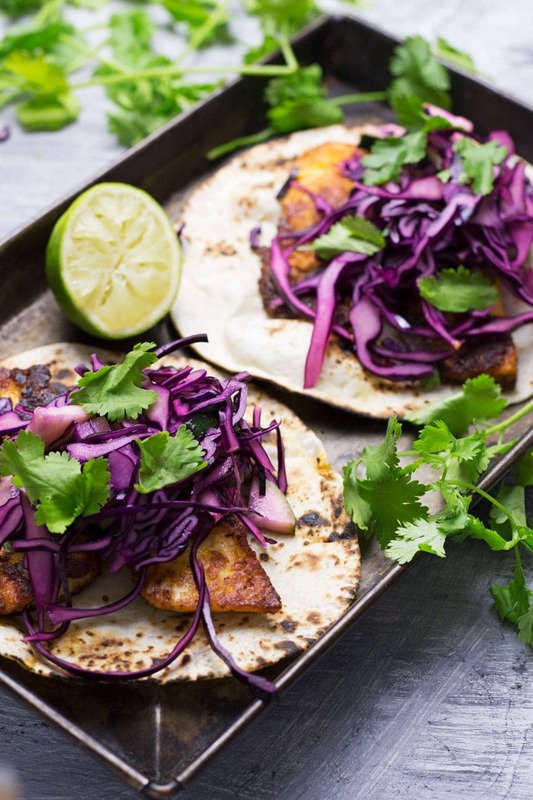 Mix together all the slaw ingredients and set aside. To build the wraps spread a little mayo down the centre of the wrap. Top with a scoop of quinoa followed by a quarter of the halloumi, chorizo and slaw. Sprinkle over pine nuts, sunflower seeds and pumpkin seeds, wrap and serve. You had me at chorizo!! These sound amazing, I love the idea of all these fantastic flavors wrapped up together. This is a lunch I would seriously look forward to! I love everything about this! I need to use chorizo more often! 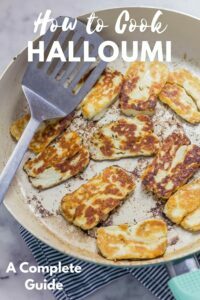 I have been itching to try haloumi and this looks like the perfect recipe. Especially with the chorizo…yum! 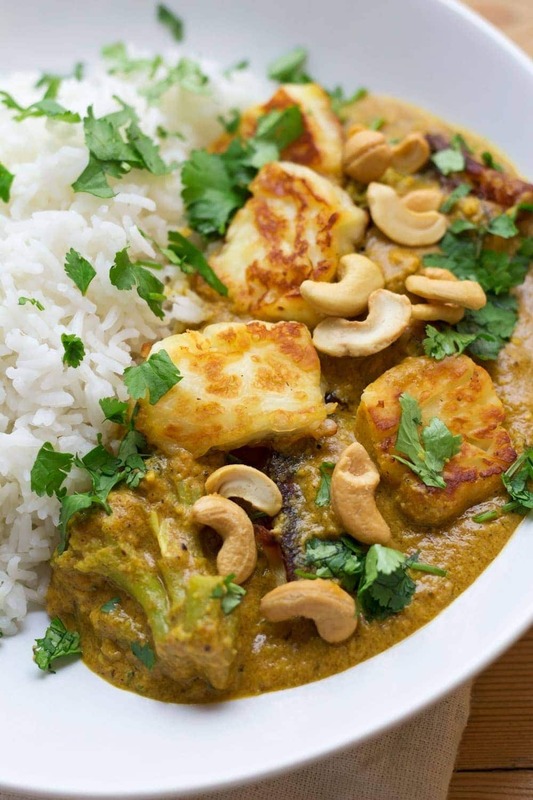 I’m such a big fan of halloumi so I know I would absolutely love this meal! I need to try it when I get back from my travels and have to cook for myself again, lol!